Used R. Wunderlich silver plated cornet in Bb/A "Quick Change". It is stamped, "R. Wunderlich Maker Chicago". 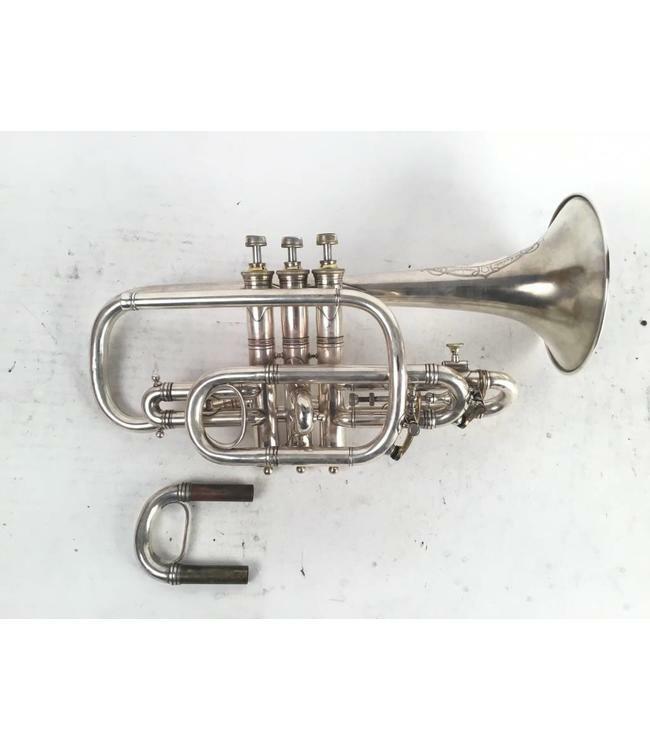 This cornet is in excellent condition with only a few dents. Comes with a case and two tuning slides.